Selecting shrink wrap machines requires an analysis of product specifications, features, and potential applications. Fully automated shrink wrap machines may list the rate in pieces per minute while some automated shrink wrap machines include an integral feeder and a computer interface that links to a control network. Also, IPS Packaging offers other shrink wrap equipment that is made from stainless steel for improved corrosion resistance. Equipment needed for shrink wrap must be suitable for applications that require a very tight, tamper- evident seal to protect products from insects, other pests, moisture, dust or other contaminants, and discourage theft. 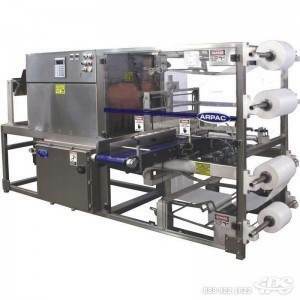 Most shrink wrap machines can handle shrink wraps with a variety of widths, designs, and film gauge.